Go To Ortho has announced that four of its physicians have been named Top Doctors by Portland Monthly in 2018. The doctors represent the top five percent of doctors nominated by their peers. Each year Portland Monthly announces the city's best doctors, physician assistants and complementary medicine providers, according to their peers. Every licensed healthcare provider in the Portland metro area is asked to nominate the doctors "whom they would entrust with their own family's care." This shortlist is vetted by an independent, anonymous volunteer panel of local medical professionals. 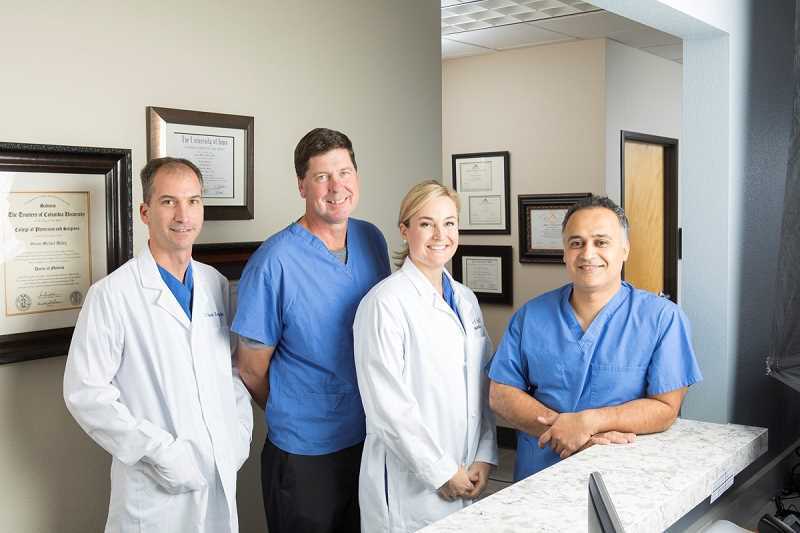 Go To Ortho doctors listed as Top Doctors are Amer Mirza, Steve Madey, Britton Frome and Corey Vande Zandschulp. Mirza, an orthopedic surgeon, has been named to the Top Doctors list five times over the past six years. He specializes in joint and knee replacement and has received numerous awards through Oregon Health and Science University. Madey is both an orthopedic surgeon and healthcare business innovator. Go To Ortho is his brainchild. He has helped develop a cutting-edge helmet technology called WaveCel that was recently featured in Oregon Business Magazine. Frome is a trauma specialist focused on hand and microvascular surgery. She is president of the Oregon Association of Orthopaedic Surgeons. Vande Zandschulp focuses on acute care of orthopedic injuries, especially fractures and dislocations, as well as nonhealing and poorly healed fractures. Go To Ortho is an immediate injury care clinic, providing direct access to orthopedic specialists in an urgent, walk-in clinic model. The team of physicians and medical support staff specializes in injury care, treating orthopedic injuries only, like cuts, breaks, sprains, fractures, tears, dislocations and wounds. They also treat joint pain. By going directly to the specialists, patients can avoid extra appointments, as well as the typically higher costs of emergency room visits. Patients can walk in and be seen immediately by a team of specialists that day. Go To Ortho is the first clinic of its kind in the Portland metro area. The clinic is located at 4103 Mercantile Drive in Lake Oswego. It is open from 8 a.m. to 5 p.m. Monday through Friday. Call 503-850-9950 or visit gotoortho.com.